Easily automate, manage and track complex IT processes across the enterprise from a single platform with best in class return on automation. Job scheduling automates much of the backend work of a typical IT department, allowing for higher quality maintenance therefore a better performing system. Workload Automation software orchestrates & automates business processes from a single point of view providing your business with the right information at the right time. Looking for a smart and easy way to improve the value of your SAP investements and reduce complexity? Simplify your SAP processing now. Master the challenges of the ”Hybrid Enterprise". Enable efficient end-to-end automation across private and public clouds and on-premise landscapes. Searching a single solution to integrate big data processes for end-to-end visibility & maximum performance. Increase the value of your investments. Searching an enterprise job scheduling and managed file transfer solution for any type of cloud, mainframe, distributed or hybrid environment? Meet the ‘automation executives’ of dynamic IT automation: business service automation. These high-level solutions act as the conductors of an orchestra of automation solutions, coordinating subordinate workflows based on value and need. This could include triggering services needed for new employee onboarding. Business service automation has both more brawn and more brains than the average automation solution. It is staggeringly versatile, managing processes across multiple silos while providing enhanced end-to-end support. Automation solutions in this middle tier share a common IT focus. Consider these solutions the ‘middle management’ of dynamic IT automation, the principal musicians in each section of the automation orchestra. This solution’s value lies in management—coordinating technically complex workflows within and across domains in ways that appear effortless. IT service automation not only crosses functional boundaries to coordinate and deliver important services; it also implements workflows across domain-specific activities. Despite its power, however, this scale of solution lacks the crucial 10,000 foot view that high-level services offer. Automation solutions in this tier are technically focused, task-specific, often repetitive, and are commonly domain-focused (for example, server life cycle management). This class of automation tools uses a combination of workflow and scripting to automate fundamental IT processes, such as configuration, patch, compliance and life cycle management. IT task automation solutions, as individual members of the automation orchestra, provide the fundamental building blocks for IT and business service automation. Why choose Stonebranch as your dynamic IT automation partner? Stonebranch provides highly secure autonomous IT automation platforms that simplify mission-critical IT business processes. worries a thing of the past. 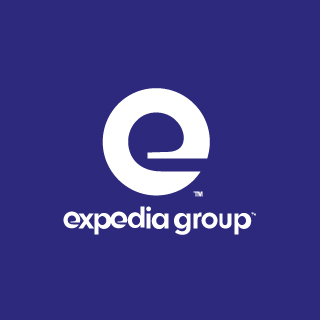 Learn why Expedia Group relies on Stonebranch. Downlad the case study and disvover the benefits.